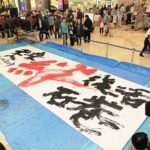 The piece “Resilience” by Chiba Sougen, a calligrapher born in Ishinomaki, is being exhibited in the Ishinomaki Newsee. 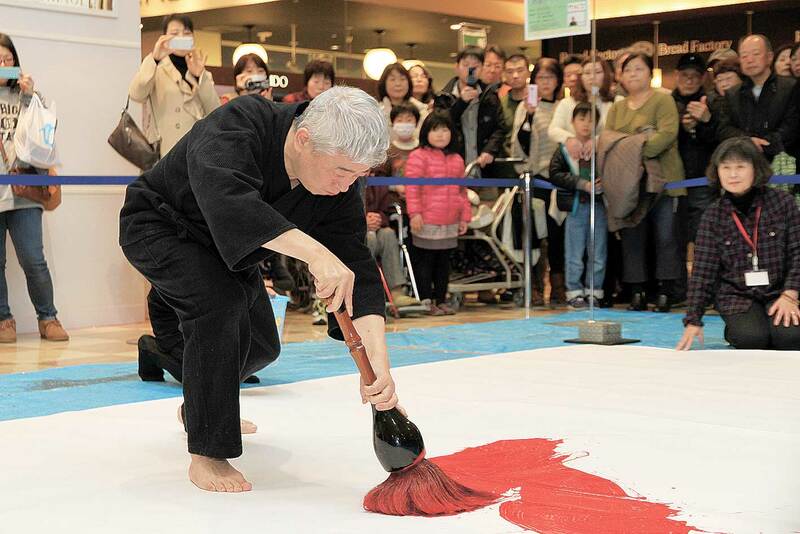 When Chiba was in Grade 4 of Elementary school, under the recommendation of his family, he began to learn calligraphy. He was also learning the abacus, but found that it did not suit him, so he gave it up. He continued calligraphy all the way through high school. 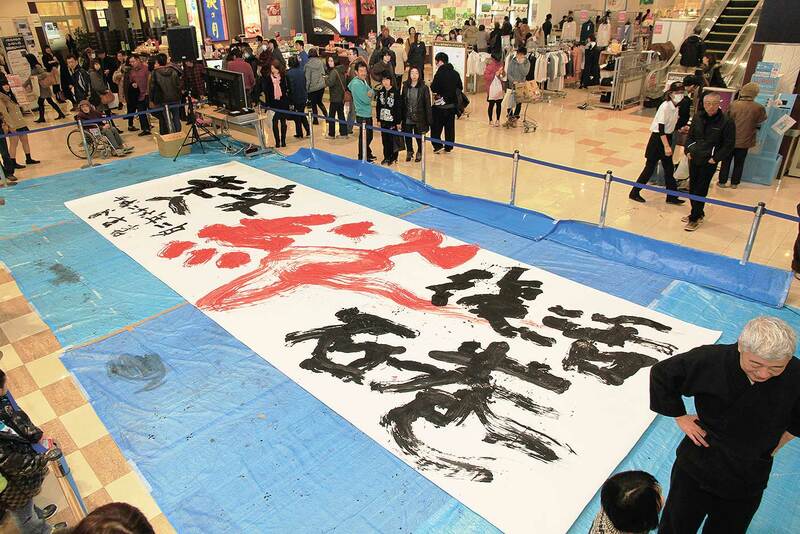 The piece of work which was displayed in Tokyo Sho（Calligraphy）2013 (held in Tokyo Metropolitan Art Museum in January 2013) was the toughest one yet. It took a staggering 11 months to finish. Chiba thought of portraying the shock of the earthquake through this large piece 5 X 10 meters in size. In order to present this piece, last year Chiba held the one-man exhibition named “Requiem and Revival PART II” in Sendai Mediatheque (Aoba District in Sendai City). “I was very happy to receive such a good response from Tokyo Sho 2013, so I definitely wanted to exhibit it in my hometown!” In the three years since it happened, Chiba has been creating pieces based on the spirit of those affected by the shock and damage of the Great East Japan Earthquake, and their focus on recovery. “I just write according to what I feel in my own way. And I don’t mind whether it’s good or bad as long as it catches people’s eye” says Chiba. Chiba’s pieces are not just letters. Many are like paintings. “I express my feelings by integrating these two elements in my pieces. It is important to write from your heart. For example, it’s like singing a song. Singing along with the melody is one way. Besides that, singing a certain part that moves you emotionally with more passion is another way of expressing yourself. Similarly in calligraphy, writing what you feel is an important aspect” says Chiba. His future goal is to write pieces that reach the world.